For hire at Primrose Valley, modern 3 bedroom, 2 bathroom, 6 berth which is fully double glazed and gas central heating. Located near the entrance of the holiday park on Birch Court, just a few minutes’ walk to the new Lakehouse complex which includes restaurants, boating lake, fun fair, children play area and other activities. Click for more details. Stunning platinum top of the range luxury holiday home located on Reighton Sands Holiday resort in between Bridlington and Scarborough, a fantastic Haven family holiday resort with direct access to the beach. Includes free Wi-Fi. Click for more details. Stunning platinum top of the range luxury holiday home located on Reighton Sands Holiday resort in between Bridlington and Scarborough, a fantastic family holiday resort with direct access to the beach. Click for more details. Luxury 38x12ft 3 bedroom, 2 bathroom 6 berth located on primrose valley, Located in a prime area park on Linkfield Court, just a couple of minutes walk to the main complex, 3 well sized bedrooms, main bedroom with en-suite bathroom, fully fitted wardrobes and vanity area, two twin bed rooms with fitted wardrobes. Fully double glazed and gas central heated. Click for more details. 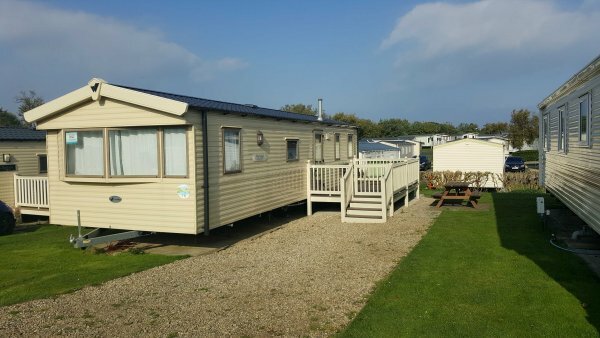 The 36x12ft 2018 model 3 bedrooms, 2 bathrooms 8 berth holiday home is located on the Pine Ridge area of the Primrose Valley resort, ideally situated just off the main road close to the main complex of Primrose Valley Park. Just a short walk (100 yards) to all main attractions and complexs. Click for more details. The 3 bedrooms, fully double glazed, 2 bathrooms, 8 berth static caravan is located on the Magnolia Court area of the Primrose Valley resort, ideally situated in the middle of the Primrose Valley Park close to the Lake house Complex. We do allow pets providing you don't leave them in the caravan unattended. Click for more details. 2 bedroom 4 berth stunning holiday home located close to both complex areas and directly over looks the large children play area and open field. This 38x12ft holiday home is located on Primrose field area of the resort, just a couple of minutes walk to each complex and under 10 seconds walk children's play area. Click for more details. Relax in our lakeside lodge at Primrose Valley, Fully double glazed and gas central heating, 2 bedroom 6 berth 2 bathroom luxury lodge, located on the newly developed area on Primrose Valley with Views of the lake and the sea. Click for more details. 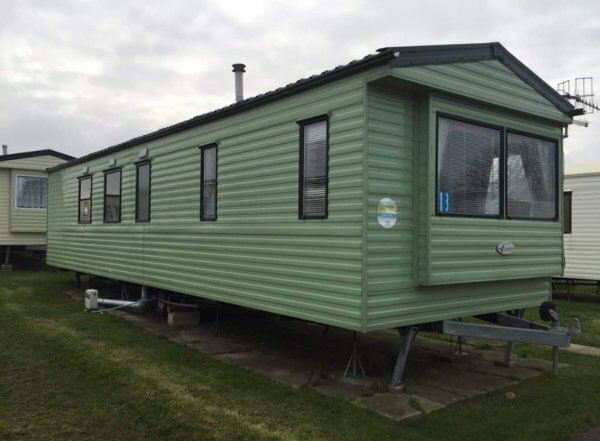 The 36ft x12ft 3 bedrooms, 2 bathrooms 8 berth static caravan is located on the Rose bank area of the Primrose Valley resort just a short walk to the main complex, there is no pets allowed and this is a Smoke free caravan with full wrap around decking a sea views. Click for more details. The Golden Beach caravan park - Ingoldmells is ideally situated under just 5 minutes walk to fantasy island and the largest outdoor market in Europe and only 5 minutes walk to the Beach. This well-appointed fully double glazed 30ft 2x Bedroom caravan is suitable for up to six people. Well-behaved pets are welcome. Click for more details. The 38x12ft Prestige Graded 3 bedrooms, 8 berth holiday home is located on Magnolia Court area of the resort, ideally situated in a quiet relaxing area of the resort just 2 minutes walk to the Lakehouse restaurant and funfair, the caravan also has a benefit of full wrap around south facing veranda and private parking & Free Wi-Fi Click to see more details. The 35x12ft Luxury 2 bedrooms, 6 berth, fully double glazed and gas central heating holiday home is located on the Rose Bank area of the resort, ideally situated on a quiet relaxing area of the park, just a short walk to all main attractions and complex's. Pet friendly and free Wi-fi. Click for more details. Primrose valley luxury caravan - The 38x12ft luxury caravan 3 bedrooms, 2 bathrooms 8 berth holiday home is located on the Pine Ridge area of Primrose Valley Park. Just a short walk (350 yards) to all main attractions and complex's. Click for more details. Luxury 44ftx14ft lodge for hire at Primrose Valley, located on Southcliff Court just a few minutes walk to main complex and beach. This stunning enormous lodge is top of its class. Fully Double glazed and gas central heating 2 bedroom 6 berth luxury accommodation. Click for more details. 8 berth (3 Bedroom) Fully Double glazed and Gas central heating Swift Family Retreat 38x12ft holiday home located on Oak Meadows, under 5 minute walk from the main complex. Click for more details. The beautiful 6 berth family owned caravan for hire at primrose valley filey, located on Pine ridge, lovely family holiday home available with 2 bedrooms blown air heating in bedrooms located 300 yards to main the complex. Click for more details. The 38x12ft Luxury graded 2 bedrooms, 6 berth holiday home is located on Laurel Rise area of the resort, Ideally situated 100 yards from the main complex, from the full wrap around veranda you can see Starbucks, spar and the mash and barrel. We do allow pets providing you don't leave them in the caravan unattended. Click for more details. Spacious double glazed ABI Horizon 3 bedroom caravan on this 5* Haven Holiday Park. The caravan is on Pine Ridge just 400 yards from the main entertainment complex overlooking a green area. Click for more details. We have for hire on The Primrose Valley Holiday Resort, Filey Near Scarborough, The 33x12ft 2013 model Deluxe graded 2 bedrooms, 2 bathrooms (en-suit) 6 berth holiday home is located on the Rose Bank area of the Primrose Valley resort, ideally situated just of the main road, just a short walk to the coastline and under 10 minutes’ walk to the complex. Click for more details. The 38x12ft Luxury 3 bedrooms, 2 bathrooms 6 berth static caravan is located on the Rose Bank area of the Primrose Valley resort, ideally situated on a quiet area of the Primrose Valley Park. Just a short walk to all main attractions and complex's Click for more details. Caravan for hire primrose valley, 8 berth prestige 3 bedroom, located on Hazel grove 3 minutes walk from the main complex and coastline. Pet free and Free Wi-Fi. Click for more details. For hire on The Primrose Valley caravan Holiday Resort, Filey Near Scarborough, The 36x12ft luxury 2 bedrooms, 6 berth holiday home is located on the Primrose Field area of the resort, ideally situated 70 yards to the main complex, and a few minutes away from the cliff top and short stroll down to the beach. Click for more details. Privately owned 3 Bedroom family Holiday Home, 35' x 12' Willerby Salsa Eco and is perfect for family holidays, couples retreat or short breaks. The caravan is double glazed with heating throughout. To suit everyone's basic holiday needs, aiming to provide you not only enjoy your stay but wish to return again & again with family and friends. Ideal central location - situated within a short stroll of all the facilities on park including the main entertainment complex, swimming pools, beach access, children's play area, shops, reception, launderette and recycling centre. The caravan is equipped with everything most would need for a relaxing break. All amenities and bedding are included in the price. Pet free, Non smoking, Entertainment passes NOT included. 3 bed Horizon 6 berth static caravan for hire. Situated very close to main entertainment complex on primrose valley 5* haven site. Our luxury 3 bedroom , 6 berth caravan fully heated with double glazing and private parking is availbe to fire. Primrose Valley Filey with beach access from the site . 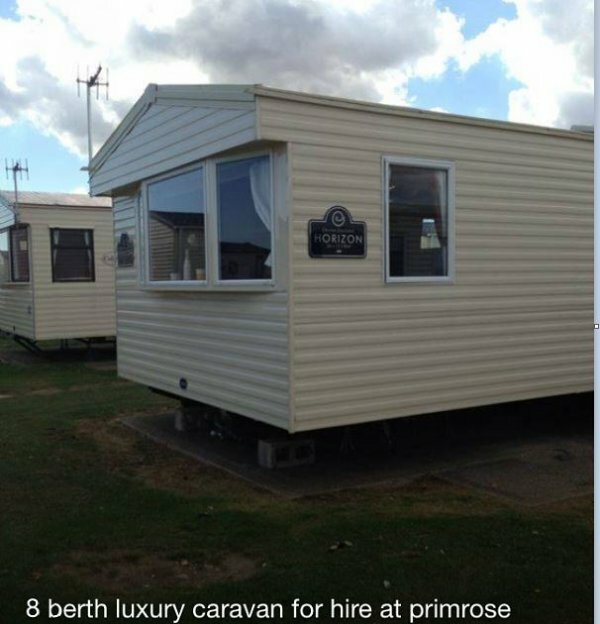 Luxury 8 berth caravan for rent at primrose valley. Deluxe Heated Caravan located at a 5* Haven park - Primrose Valley Holiday Park within Filey, Scarborough. It is available to rent but bookings are going fast! Welcome to our family owned luxury Willerby vogue caravan. Our holiday home is located on a quieter area of the park ideal for holiday makers wanting to escape the hustle and bustle of the main complex. It is situated on a quiet Cul de sac area with no through traffic and just a short walking distance to Lakeside, the golf course, boating lake, fishing, go carts, play grounds, fun fair and activities centre. Further up the park you will find the main complex of Primrose Valley with its vast array of amenities on this 5 star rated flag ship Holiday Park. Have a look at our lovely retro 3 bedroom 8 berth holiday home at Haven Holidays Reighton Sands holiday park at filey near Scarborough, set close to complex and beach access this perfect example of a lovely retro holiday home. Our Spacious 2 Bed 6 Berth Caravan with secure decking on Haven's 5* Primrose Valley Filey in a Prime location in the centre of the park in a quiet cul-de-sac only a short walk away from all amenities. Lots of extras included free of charge. Beds made up for your arrival. Dogs welcome T & C's apply. Here we have our Willerby Avonmore 38x12ft prestige grade, 3 bedroom 8 berth holiday home which is located on Primrose Valley, situated in a quiet relaxing area of the resort Rosebank Private Parting and decking. Our Newly Refurbished Modern 3 Bed 6 Berth Caravan on Haven's 5* Primrose Valley Filey in a Prime location in the centre of the park only minutes away from all amenities. Lots of extras included free of charge. Beds made up for your arrival. Dogs welcome T & C's apply. Our Luxury Fully Heated and Double Glazed 3 Bed 6 Berth Caravan with secure decking on Haven's 5* Primrose Valley is available for hire. Fully fitted Kitchen, Large spacious Lounge and Dining area, Large bathroom with walk in shower and a seperate WC with sink. Pet Friendly.